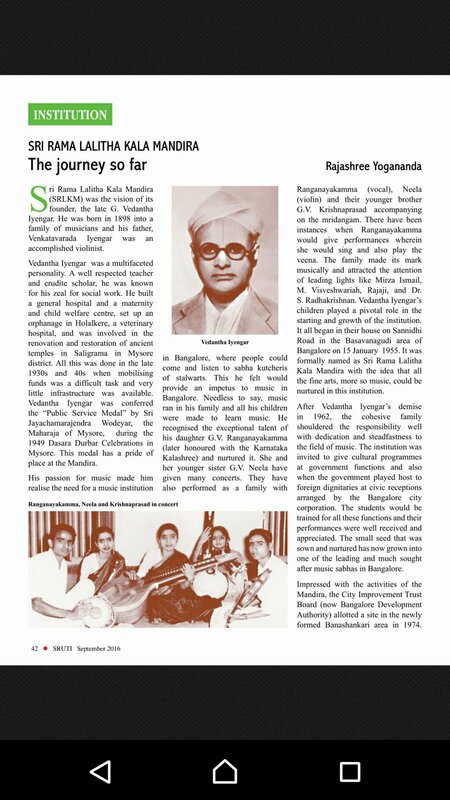 We will soon be introducing more information on Carnatic Music. 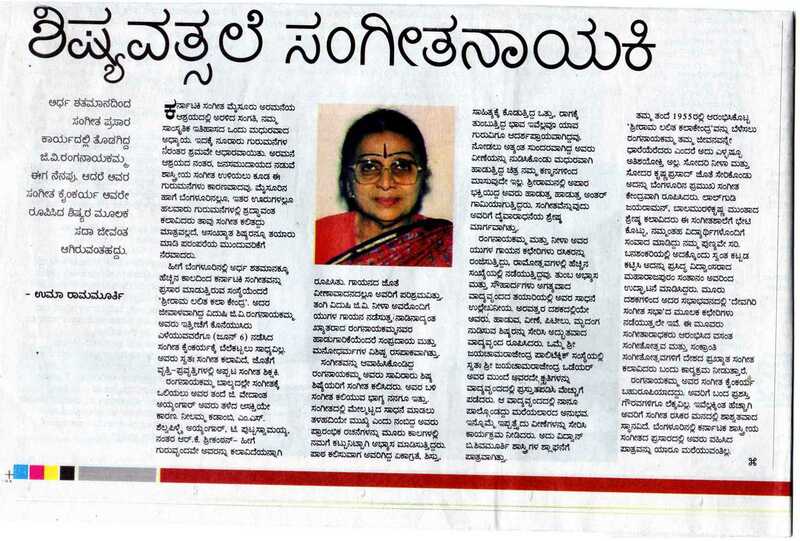 8-Oct-2015: The Karnataka Sangeetha Nrithya Academy has chosen Sri Rama Lalitha Kalamandira for the prestigious Karnataka Kalashree award for this year, with the institute being the only organization, among 18 artistes, which is rare. 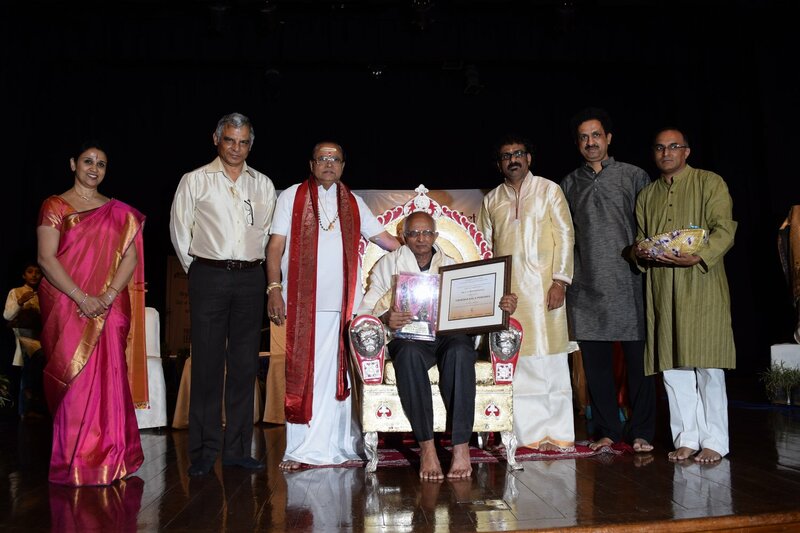 Vishesha Fine Arts in its Annual Vishesha Utsava - 2015 honoured 3 significant individuals: Padmasri Sangeetha Kalanidhi Dr. N. Ramani, Mridangam Vidwan G.V. Krishna Prasad, Hon. 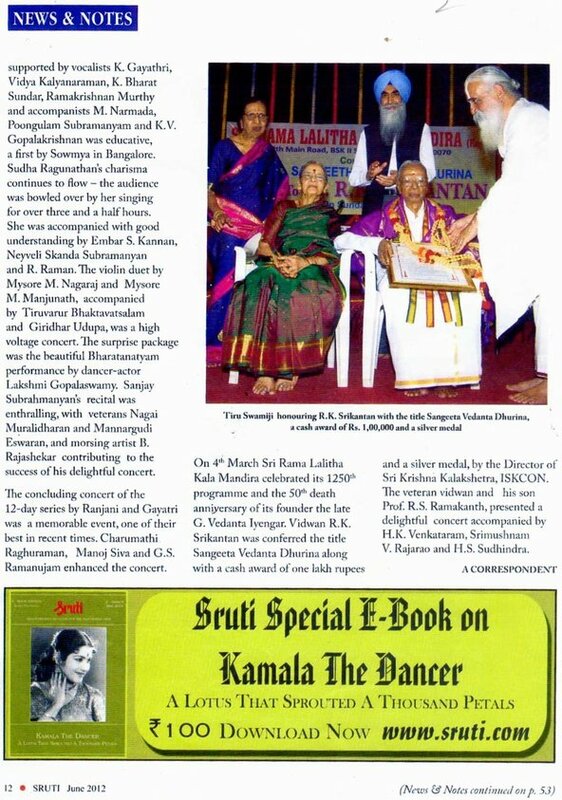 Secretary Sri Rama Lalitha Kala Mandira and Mridangam Vidwan K.U. Jayachandra Rao. G.V. 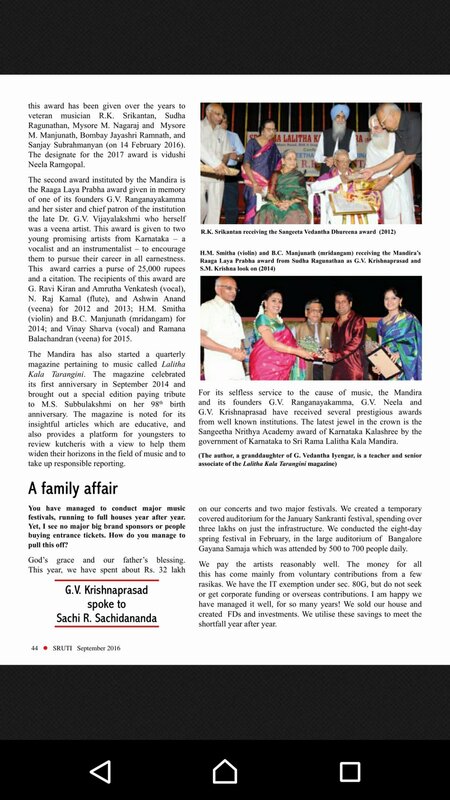 Krishna Prasad was honoured with the title VISHESHA KALAPOSHAKA and cash award with citation and memorable memento. We are one of the premier Institutions of Music and in service of Carnatic Music for over five decades. A niche has been carved in imparting education in various facets of this divine art. 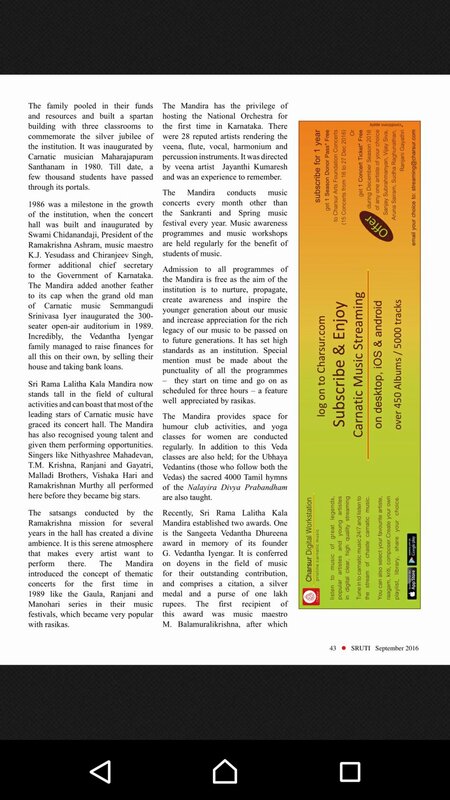 The great efforts and dedication of the founders have laid a strong foundation to promote Carnatic Music. We have encouraged many musicians and budding artists since inception. Our continued association with musicians of great repute has put us on a firm footing. 5-May-2019 Sunday 5:30PM RAGA LAYA PRABHA AWARD function. 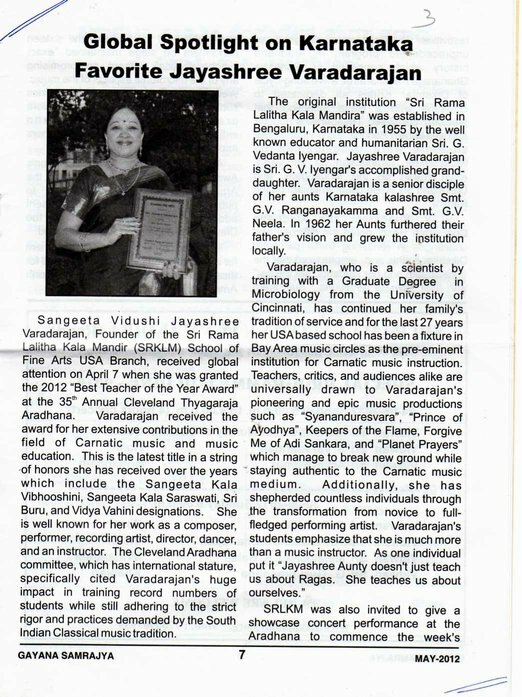 The award is to commemorate the memory of the Founder - Director Vidushi G.V. 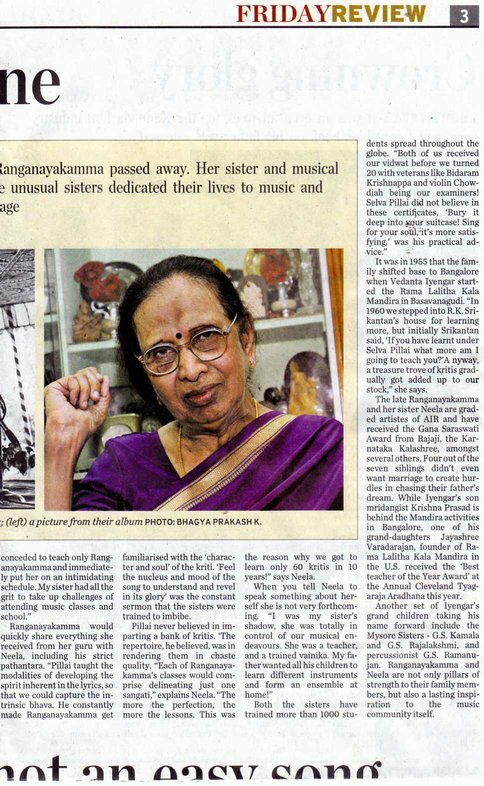 Ranganayakamma and Vidushi G.V. 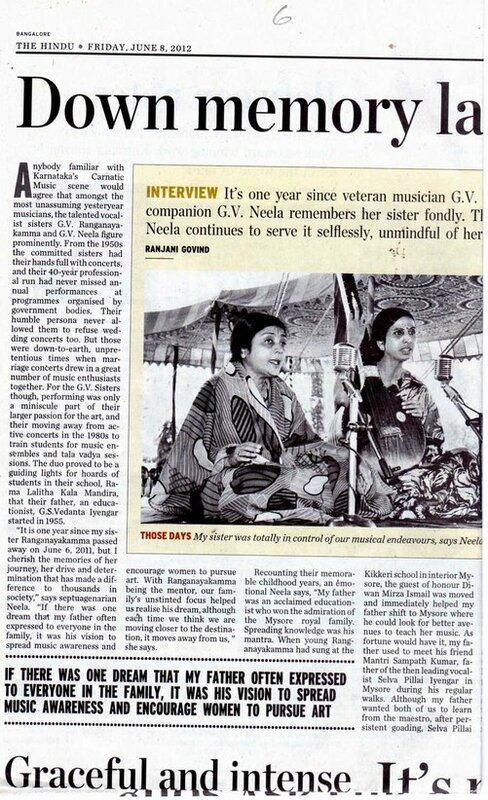 Neela and Dr. G.V. 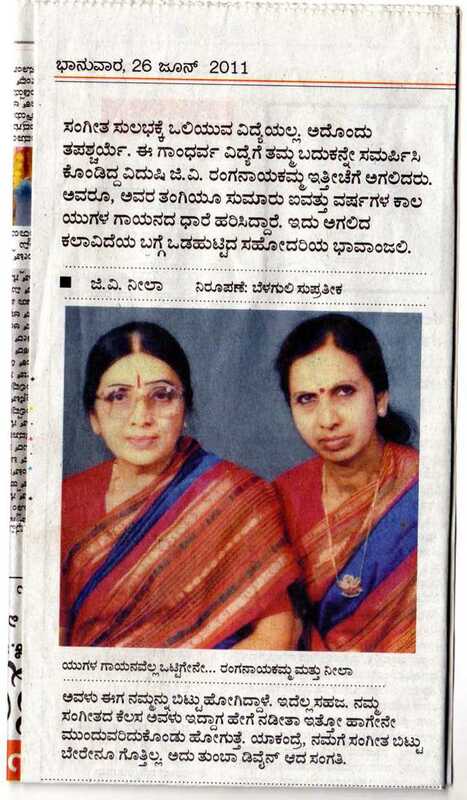 Vijayalakshmi with a purse of rupees 25,000/- and a citation to Ishwarya Vidya Raghunath - Vocal, Bhargavi Venkatram-Vocal, B. Vittal Rangan - Violin and Y.G. Srilatha - Veena. 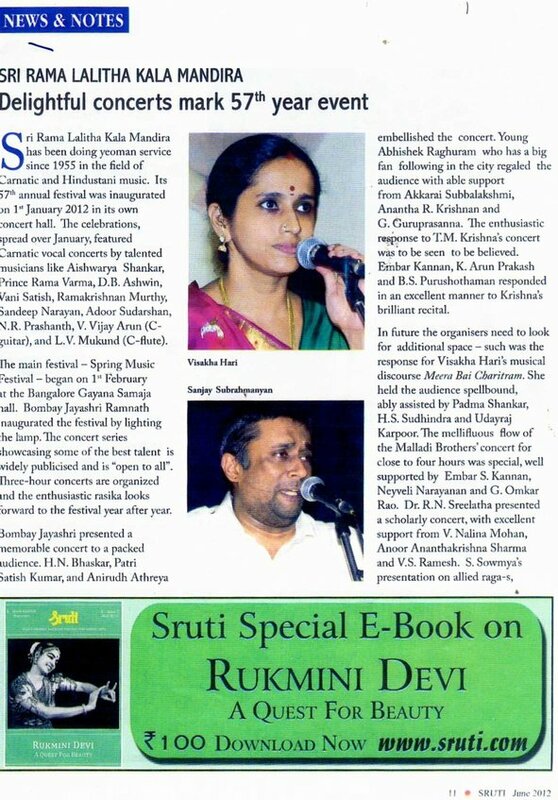 The award will be presented by Sangeetha Kala Acharya Vidushi Neela Ramgopal followed by special Music concert by Sangeetha Kala Acharya Vidushi Neela Ram Gopal, accompanied on Violin by B. Vittal Rangan and on Mridangam by K.U. 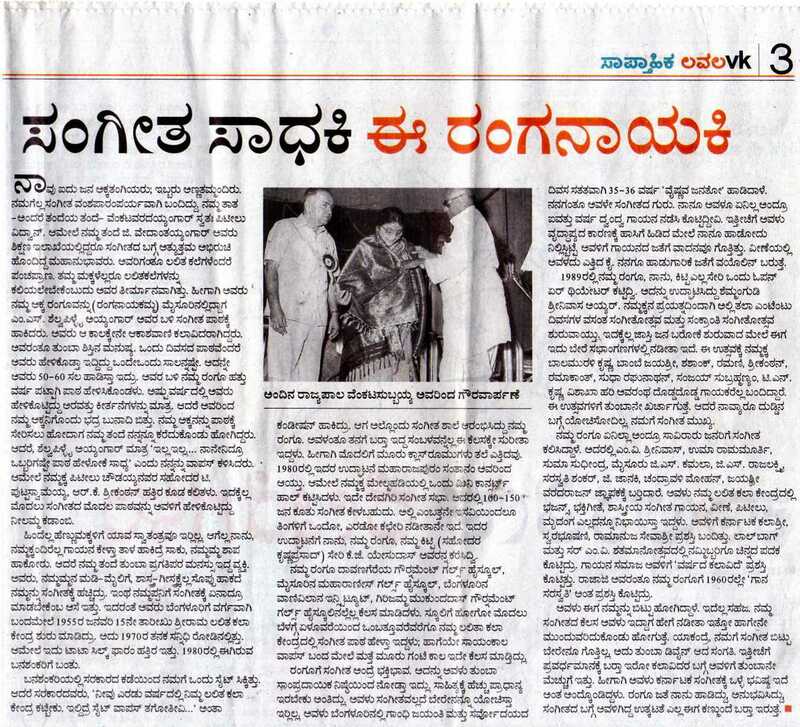 Jayachandra Rao on Ghatam by U.N. Giridhar Udupa. Programmes are open to all rasikas. Admission is free ; all are requested to be seated 15 minutes prior to the commencement of the concert and stay till the completion of Tani Avarthanam and Mangalam by the artists. Liberal donations are welcome and donations are exempted under 80G of I.T. Act.